The old saying claims that a picture is worth a thousand words. Sometimes, however, the story of a single image is almost as incredible as the picture itself. Take, for instance, this photo from 1983 EPCOT Center. It features the throne arrangement of Emperor Qianlong, China’s ruler from 1736-1796. It was part of the Treasures of The Forbidden City exhibit that was housed in the China pavilion beginning in on April 1, 1983. Beyond Emperor Qianlong’s throne, the showcase also included over fifty artifacts from the Qing Dynasty, such as music boxes, a three-tier golden clock, gaming saddle and weaponry, silk-padded armor, and the Emperor’s scepter and robes. While their place in history is extraordinary, it is worth noting that the attention to detail, usually accomplished by ornamenting the object with incredibly intricate pieces of jade or gold, is what truly made these objects a sight to behold in 1983. Stepping back from what the picture is highlighting, how it was used is also an intriguing tale. In 1983, this press photo made its way around to newspapers around the country. The nation was becoming captivated by the history and arts of the Peoples Republic of China, due in part to President and Mrs. Reagan’s visit to the country. During their journey the First Couple were able to view the terra cotta army of Xian, and the reports detailing the trip captured the collective imagination of the United States. The assembled artifacts found in EPCOT Center were the perfect way to tickle that imagination as they had previously been on display in the Palace Museum and had never left Beijing (Peking) prior to their journey to Walt Disney World. Far and wide, the ability to explore other artifacts of the West was a hot topic, and this photograph was utilized in all corners to announce the upcoming exhibit. One such paper close to Walt Disney World, the Mid-Pinellas Edition of the Evening Independent, ran a terrific article by Jeanette Crane on May 3, 1983. The article claims, however, that the current plans for the exhibit have its run limited to 18 months. But this isn’t where the photograph’s history, nor the story of the exhibit, ends. 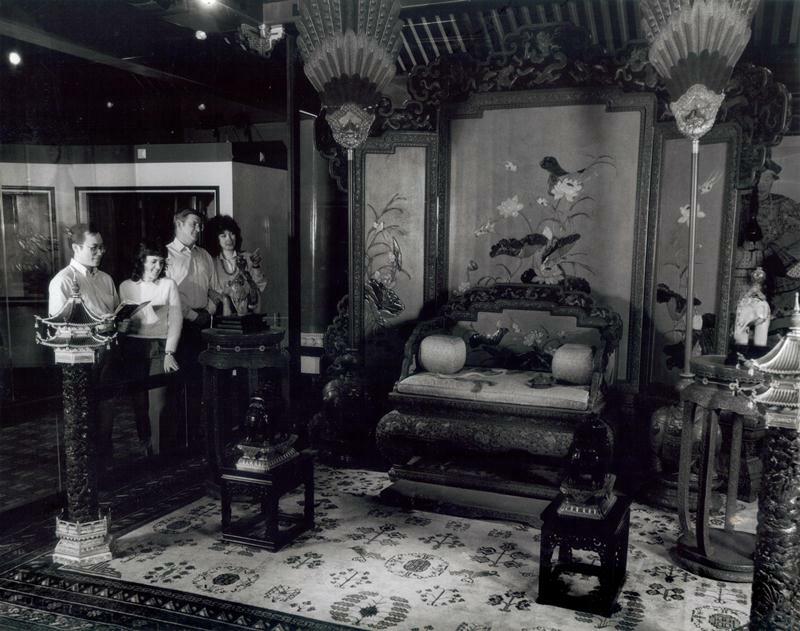 In January of 1986, almost a full three years after the Treasures of The Forbidden City showcase had first opened, the Walt Disney World News redeployed this picture for the announcement that the exhibit had been held over. Rather than leave as scheduled in October 1984, the display had been allowed to stay at EPCOT Center until early 1986 and even had a book produced in conjunction with the show. After much success, the exhibit was given another year-long extension to remain housed in the House of the Whispering Willows Gallery within the China pavilion. It’s only fitting that a showcase featuring three centuries worth of Chinese culture and history would produce a photograph with a unique history all its own.